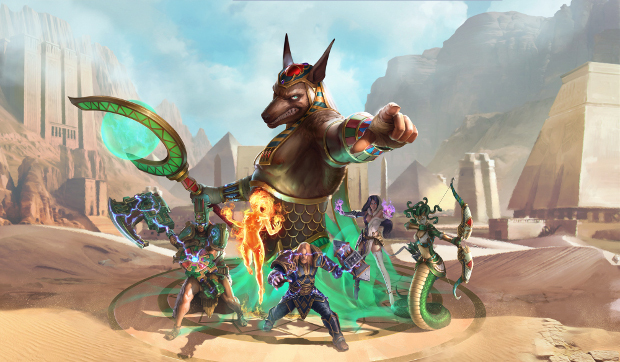 Hand of the Gods, the digital CCG developed by Hi-Rez studios and set in its SMITE universe, is exiting beta later this month. The game is set to go live on all platforms on February 20th. When Hand of the Gods launches it will be accompanied by new bundles. The Core Set Bundle includes a selection of cards from the Chinese, Egyptian, Greek, Mayan, and Neutral pantheons and will cost $20. For players only interested in specific pantheons, there are individual packs available for each. These will cost $8 and three of them can be combined with the Core Set bundle to obtain every card available in the game. If players already have the Founder’s Pack, then they’ll get the Core Set for free. And… good news for current players… Whatever cards you’ve already obtained will carry over into the live version. For more information on the launch, keep an eye on the game’s site.